Two steps forward, one step back. Lenovo replaces a standard CPU with a ULV processor in yet another ThinkPad. Thus, the Edge E550 sacrifices some performance in favor of power consumption and emissions. The inexpensive office laptop nevertheless makes an overall solid impression. Positive: Quiet operation in office work; long battery life; comfortable keyboard with TrackPoint; docking OneLink. Negative: Missing key illumination. Model: Interestingly thin and capable, the Lenovo ThinkPad Edge E550-20DGS00300 is a classic ThinkPad at heart. The iconic black finish with subtle red highlights on the mouse pad and TrackPoint needs no introduction especially when coupled with an award-winning full-sized keyboard which is spill-resistant. 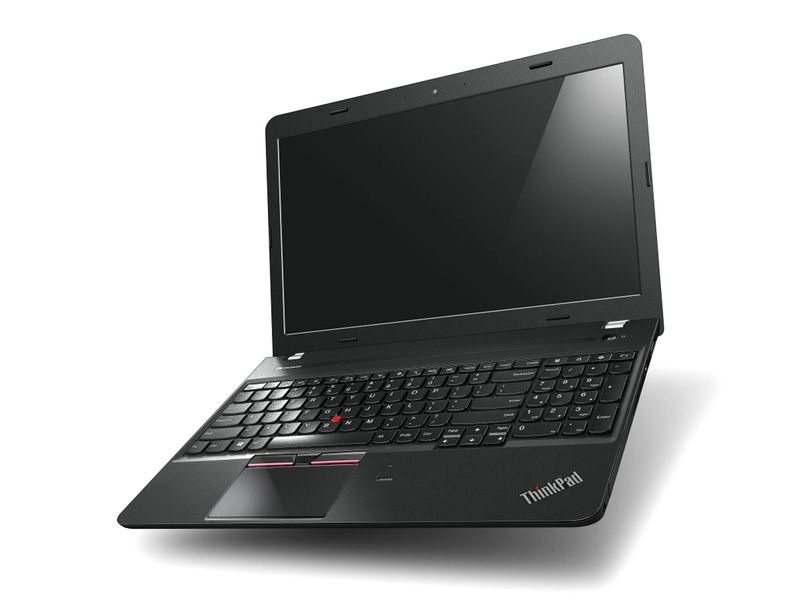 The entire device is finished in textured matte with the ThinkPad logo highlighting the cover panel and interior. From the go, every technical aspect is customizable to suit individual needs. The Lenovo ThinkPad Edge E550-20DGS00300 variant comes with an Intel Core i3 5005U processor clocked at 2.0 GHz, 4 GB DDR3L RAM, Intel HD Graphics 5500 and 500 GB HDD. The Windows 8.1 64 bit system comes with a 15.6 inch anti-glare screen that produces good colors and clarity. The anti-glare screen definitely aids when using the laptop on the go. There is an option to add a fingerprint scanner for added security. Other features include a DVD drive which writes at 8x, Bluetooth 4.0, an Intel Dual band Wireless 3160 AC adapter, an USB 3.0 port, an USB 2.0 port, an VGA output, an HDMI output and a card reader. Battery life is good with a 6-cell Li-Ion cell complementing the mobility of the Lenovo ThinkPad Edge E550-20DGS00300.